KayKiSpeaks.com: Hey Sneaker Heads! 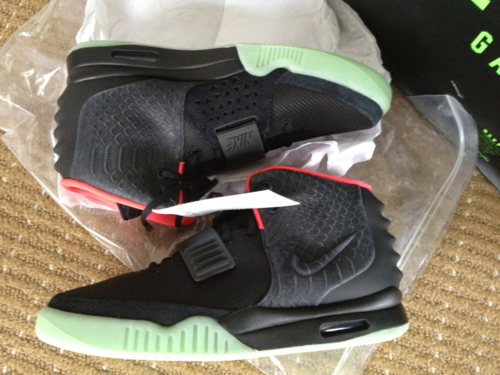 --> Nike Air Yeezy 2s are Here-almost!!!! Hey Sneaker Heads! --> Nike Air Yeezy 2s are Here-almost!!!! So this photo popped up on Ye's manager Don C's tumblr. The kicks are highly anticipated and Ye has been rocking them throughout the WTT tour! No word has been released on the exact date you can cop yours, but its said to be sometime around March of next year. Im sure you Sneaker lovers.. especially those with an affinity for Js will be sure to get these.